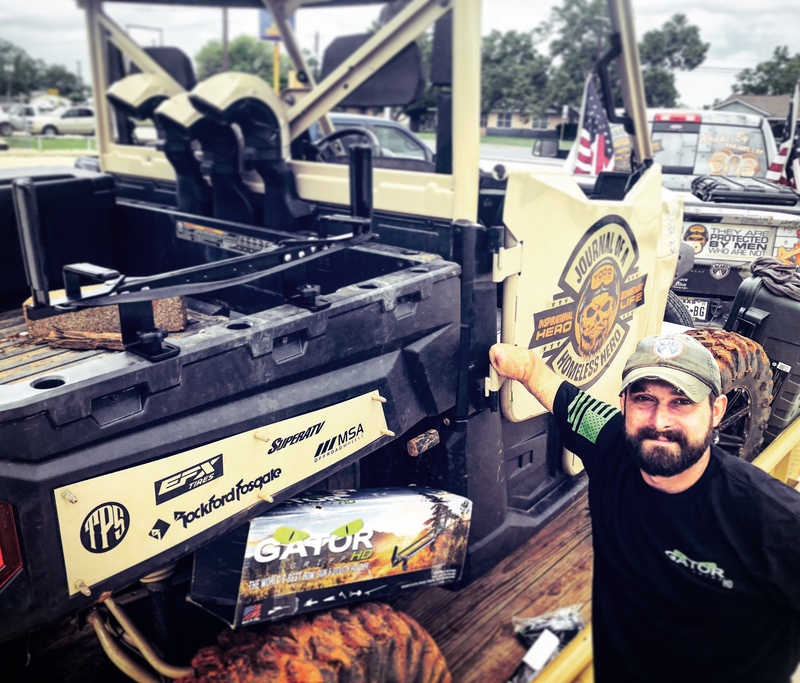 The World’s Best Bow, Gun, Utility Rack just got better! 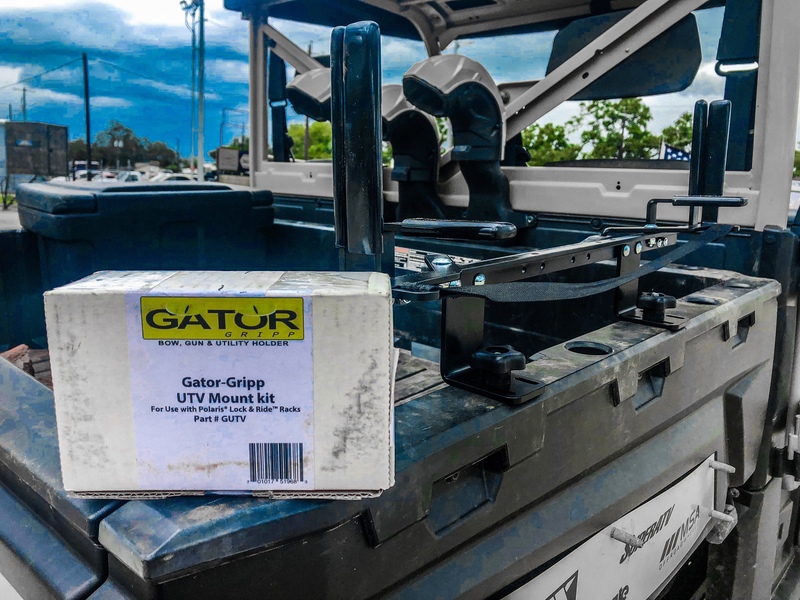 We would like to introduce the Gator-Gripp (Polaris)UTV Mounting Kit and it’s Contents. Within this box is the Remote Mount Plug (RMP). 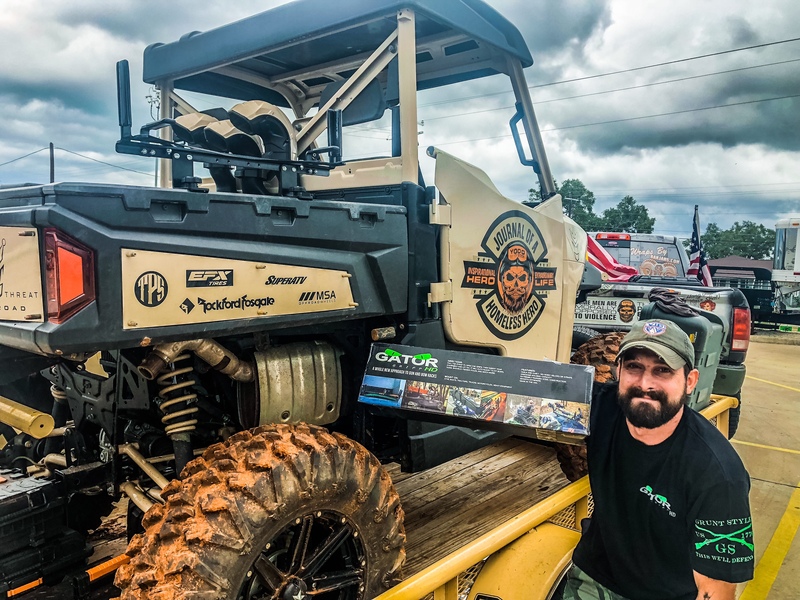 As seen on this Custom UTV from Triple Threat Offroad This is similar in our opinion to the Lock & Ride® From Polaris, but with Gator-Gripp Technology! 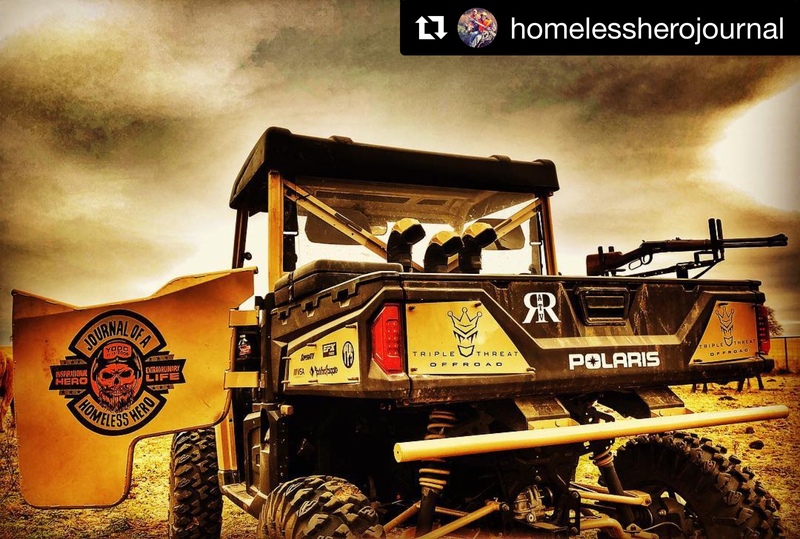 Now with our accessories you can attach or detach the Plug to the Polaris ATV/UTV in seconds allowing you to hunt, ride or work more – and not hassle with any time-consuming accessory installation. 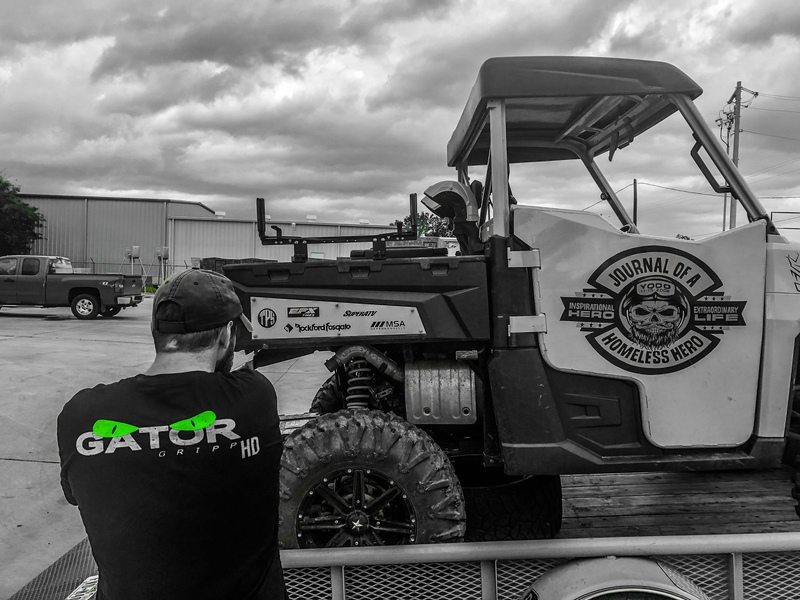 The Gator-Gripp Plug RMP is a must have attachment point for Polaris Owners. 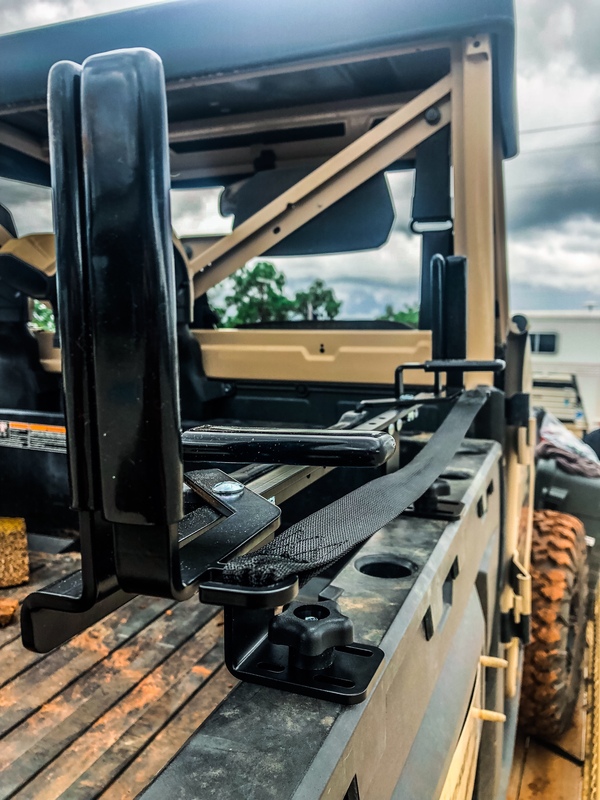 At Gator-Gripp Rack Systems we Salute our Nations Heroes. Our Own CoOwner David Ramsey is a 20 year Retired Surfman & Chief in the US Coast Guard. He’s also the Director of The Outdoor Association for True Heroes OATH Spearfishing Team and Founder of Our Spearfishing Tournament Rigs & Reef Classic . We Salute all our Nations Heroes!